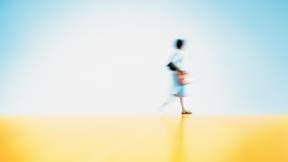 How to Make Work Healthier: Move It! Breakthrough ideas require new ways of thinking and new ways of working. Unlimited resources and limitless possibilities can produce incredibly innovative products. But, more often than not, the most creative problem solving occurs within a set of boundaries. 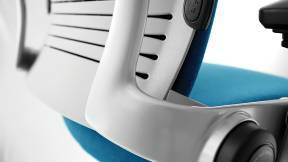 That’s the story behind Steelcase Series 1 — a new task chair from Steelcase. 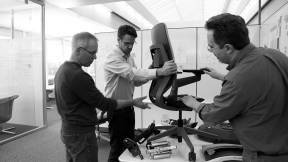 The product development team was asked to do something the organization had never done before — build a chair to reach a new market that retains first class ergonomics and provides a unique level of customization. The Steelcase Series 1 team had a finite amount of resources. They refused to waver on performance, yet had to reach an accessible price point. Every part of the chair had to be hard working and not just be an aesthetic feature. Team members explored every part of the global manufacturing, packaging and delivery process to maximize efficiencies, reduce cost and optimize quality. 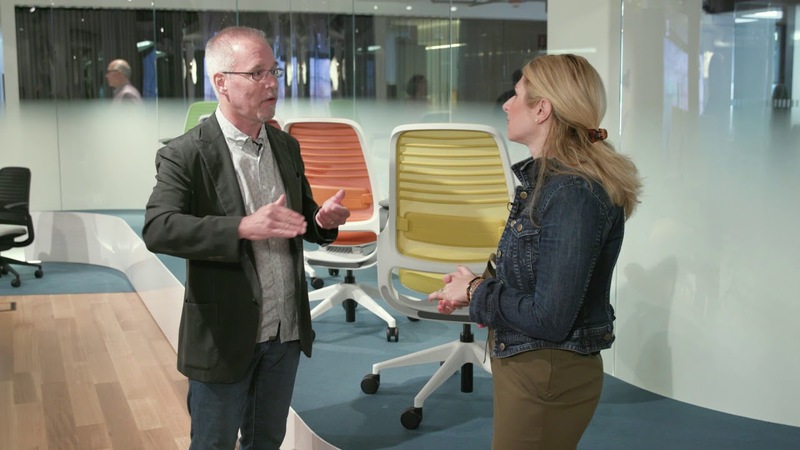 Bruce Smith, Steelcase director of global design, explains why the story behind Steelcase Series 1 is as remarkable as the chair itself. Engineers, Bob Battey and Gordy Peterson, helped shepherd the project from idea to actuality. They shared five crucial steps they used to accomplish what many deemed impossible. 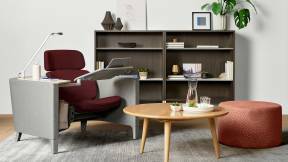 Learn more about how Steelcase Series 1 delivers on what’s important — performance, style and choice. After leaving a deflating project meeting overseas, Battey and Peterson sat in the Frankfurt airport and contemplated giving up. Similar projects had failed to reach the market. Why stay the course? “It takes passion to be willing to try things differently and to take ownership and say ‘We are going to be successful.’ We took it as a personal challenge,” says Battey. “People said, ‘We can’t do it.’ We said, ‘We can. We just have to be more creative,’” says Peterson. “You have to take ownership of a concept, nurture it and help it grow. We decided to defend it and own it, care for it and love it.” With a combined 57 years of seating experience, the two men vowed to do things differently this time. They started with a single piece of paper in the airport — clearly defining their problem and writing down how they would go about solving it. When they got back to their project room in Grand Rapids, that definition went on permanent display on the wall. Battey and Peterson worked with their team to prioritize the boundaries for the project and quickly help others understand the problem they were trying to solve. The men used their project room to display a visual representation of the constraints. If team members wanted to change one part of the project, they could quickly see the impact on the entire operation. Once the team’s priorities were clear, the project moved quickly because people could make faster decisions. Nobody had to “check into something” or “circle back after investigating an issue,” all-too-common steps that can slow progress. Both engineers found it invaluable to involve other disciplines early. Instead of starting with design and engineering, they also brought in colleagues with expertise around materials, supply chain and global processes. Each team wrote down their point of view. They inhabited a physical project room for their co-located team and created a virtual project space for global collaboration. Product development is a messy, creative process. The environment helped them showcase learnings, experiments and progress. Both areas quickly filled up with artifacts, models and materials or videos, digital notes and learnings. Their project room included a video conferencing system to help those in North America collaborate with team members in Europe and Asia. Both in-person and virtual project spaces provided the opportunity for spontaneous interactions. Sometimes it would be an unexpected meeting in person, other times an engineer from the U.S. would meet up with a designer in Hong Kong in their virtual document and begin to chat. “Spontaneous discussions are frequently the most useful ones,” says Battey. The project room is adjacent to the model shop where engineers and designers began to experiment, sometimes creating a prototype in just a couple of days. They prototyped once a week and incorporated design into the learning cycles to help further define variables. The result: The fastest early concept generation either man had ever seen. 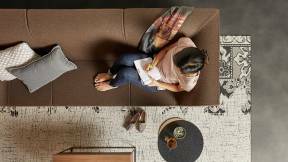 Steelcase kept Steelcase Series 1 under wraps until NeoCon 2017 when it was unveiled and instantly created industry buzz. 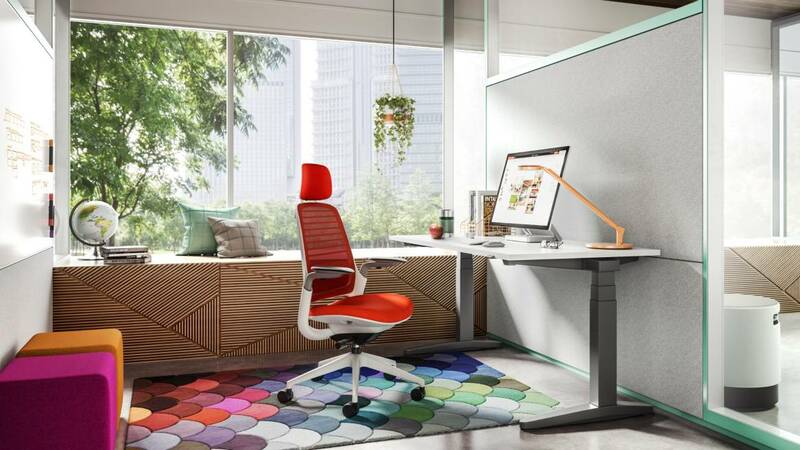 With 11 mix-and-match knit, flexor and lumbar colors, and a wide range of shell and finish options, Steelcase Series 1 offers an abundance of choice. 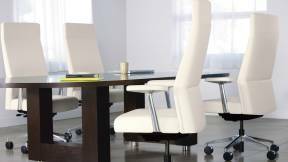 With a lightweight, slim profile and one of the smallest footprints within this class of chair — Series 1 performs well in any setting. 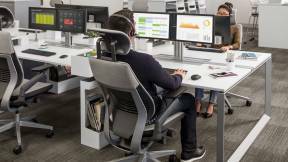 Steelcase Series 1 was thoughtfully designed with integrated LiveBack technology, adaptive bolstering and 4D adjustable arms, delivering dynamic performance. 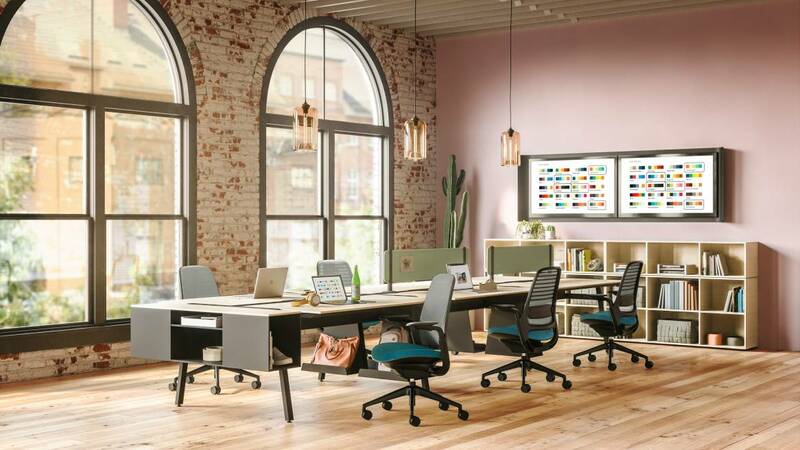 Steelcase Series 1 is available in standard and stool heights with headrest and coat hanger options to support a wide range of tasks and workstyles. 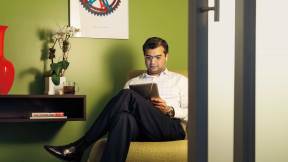 What you should ask before making that next investment in your workplace. 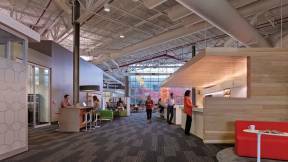 Read how a human-performance consulting firm has embraced palette of place to nurture employee wellbeing. NASA tried out the different chairs for a week and, not surprisingly, selected a chair that reflects both ergonomic and design innovation: Siento.